in our CE Learning Library, get a third for FREE! To redeem your free course, simply place the three courses of your choice into the cart and use coupon code JUNE17 at checkout. 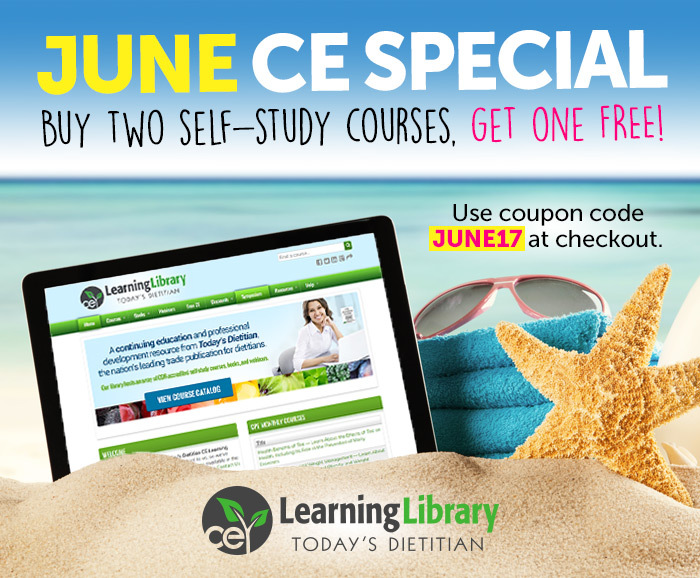 Visit CE.TodaysDietitian.com to review our self-study courses.